***CREW CAB, HEATED SEATS!!! 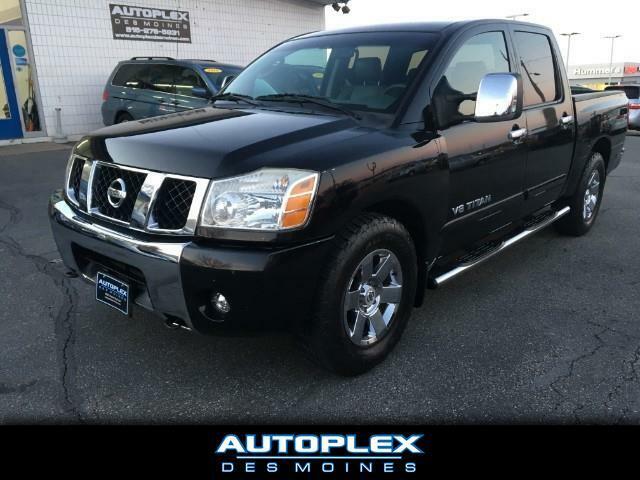 *** We are pleased to offer this sharp 2007 Nissan Titan LE complete with the 5.6 Liter V8 engine. This Titan is loaded with Dual power heated leather seats to ensure a warm drive on those cold mornings, Easy to clean leather interior, Crew cab so you can take the whole crew with you, AM/FM/CD player with Aux audio input so you can listed to music from all of your favorite devices, Power adjustable pedals so you can easily get comfortable for your drive and MORE! Stop in today for a test drive!! !